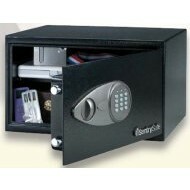 The Gary laptop safe is designed to offer secure protection for laptop computers and other valuable possessions. Its compact size allows for easy installation on the wall or floor of a home, dorm room, office, or even in your automobile. 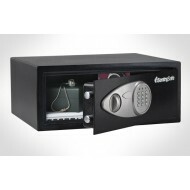 The electronic key lock provides security and easy access (batteries included). 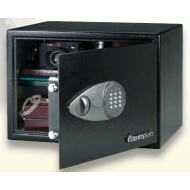 It is equipped with a mechanical key lock for emergency backup entry. 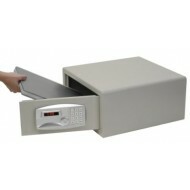 The body of this safe is made of 14-gauge steel and the door of 3-gauge steel.